This Saturday, First Amendment supporters plan to take to Pittsburgh’s streets to protest Google’s firing of a software engineer for voicing his anti-diversity views, but the city’s mayor is concerned the event could lead to violence. On Tuesday, Pittsburg Mayor Bill Peduto said he hadn’t received any permit requests, so it is unclear if the “March on Google” is something planned or just a social media thing. Pittsburg is one of the nine cities that announced similar protests. The mayor noted that any type of speech, even “hate speech,” is protected under the U.S. Constitution. But Pittsburgh doesn’t want anti-Google protesters on its streets since people don’t believe in what protesters say, the mayor added. Even though the protest is not linked to Neo-Nazi groups or the alt-right movement, Peduto thinks the Neo Nazis, KKK members, and alt-right sympathizers might join the rally. At one point, Peduto said he wouldn’t refuse to issue the permit, but the rally will likely be located in an isolated area. On their website, the march’s organizers claim the event has nothing to do with the “alt-right”. The march is a protest against Google for terminating engineer James over a memo that said the biological differences between men and women may explain why there are so few women engineers within the company. Protesters believe the web search giant infringed its former employee’s freedom of speech. The protest’s organizers underlined that hate groups are not welcome, but Mayor Peduto claims intelligence reports show that right wingers may join the protests this weekend. 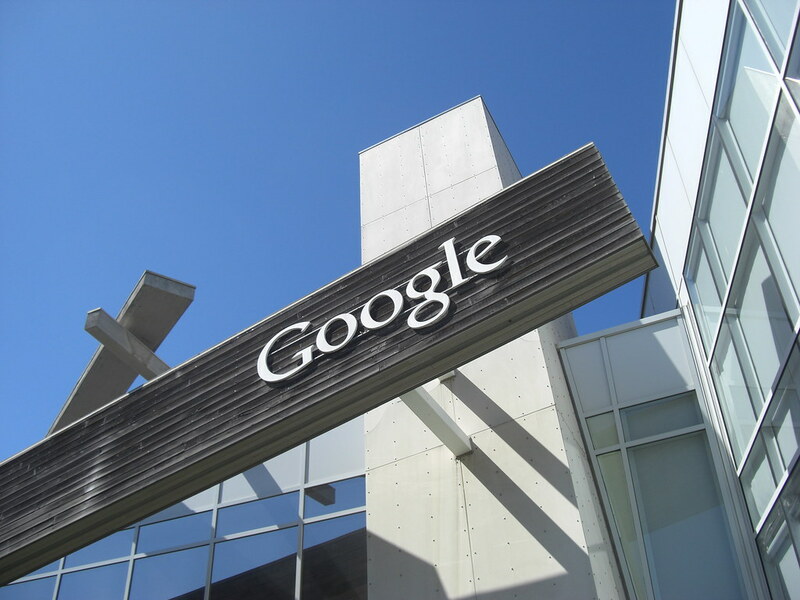 A Google engineer has recently written a memo which sparked a lot of controversy, after claiming biology is what keeps women from enjoying as much success as men in the industry of tech. The company couldn’t stay indifferent to such claims, and a recent report confirmed the dismissal of the engineer. The engineer who wrote the memo was James Damore, and he has already confirmed he had been dismissed via an email. As the reason why Google made this decision, Damore said the company accused him of propagating gender stereotypes. Sundar Pichai, Google’s CEO, declared Damore violated important rules of the company after writing the document and then making it public. Therefore, the engineer needed to be dismissed. In this sense, Pichai also wrote a memo addressed to all employees. In this memo, titled “Our words matter”, Pichai sends some warnings to all employees not to violate the company’s rules or suffer the consequences. Also, making assumptions based on biological reasons directed towards other members of the company is offensive, and people should refrain from doing so. In fact, what Damore’s memo did was to criticize Google for promoting diversity among workers. Initially, it was posted on an internal network, but it quickly went viral. 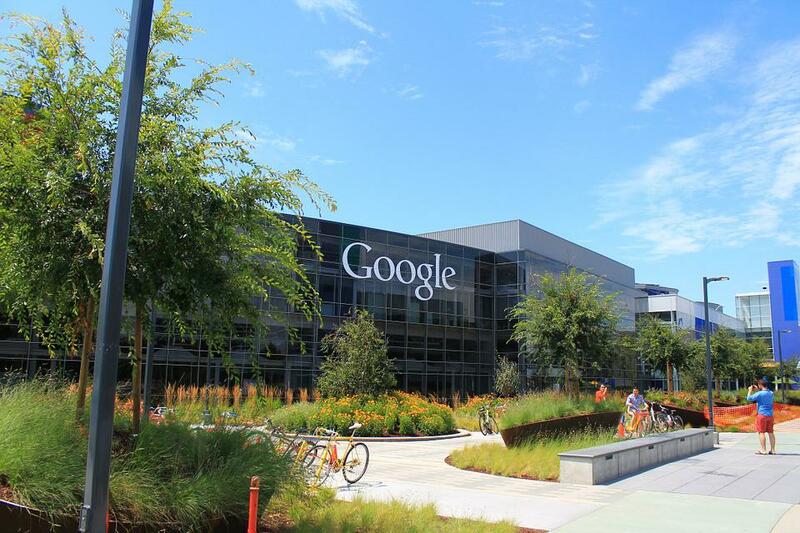 As expected, it gave rise to a lot of controversy among other Google employees. The document is called “Google’s Ideological Echo Chamber”, and claims women are not placed on a lower rank in the tech industry because of discrimination, but because of biology. According to him, biology dictates certain preferences and differences which make women different, including at the workplace. Damore believes he was illegally dismissed, and is thinking of pursuing legal action against Google. Before writing the document, he issued a complaint for the National Labor Relations Board, where he said the company shamed him to silence his dissatisfaction. The gap between what the U.S. sells to other countries and what it buys from them shrank to $43.6 billion in June, as exports jumped to the highest level since December 2014. According to a Commerce Department report published Friday, the trade gap decreased 5.9 percent. May’s trade deficit was initially reported $46.5 billion, but it was recently adjusted as $46.4 billion. Analysists had expected the trade gap to shrink to $45 billion in June. When the figures were matched to inflation. The U.S. trade deficit decreased to $61 billion, which is $1.8 billion lower than the May levels. The decrease is mainly due to a surge in real goods ($126.9 billion) and oil exports. A couple of weeks ago, the Commerce Department reported that two-tenths of percentage point in the annual economic growth are due to trade in the second quarter. The report shows that good and service exports jumped 1.2 percent in June, which is the highest level in two and a half years. Food, cars, and capital goods were the most exported items by the U.S. By contrast, China’s exports slipped 4.7 percent during the same time period. In June, U.S. imports fell 0.2 percent to $238 billion. Americans imported fewer materials and industrial supplies. Imports of smartphones and home appliances also slipped by $0.9 billion. Imports of goods made in China saw an uptick of 1.2 percent, while the trade deficit between the two countries expanded 3.1 percent to hit $32.6 billion in June. While a shrinking trade deficit may be good news for the U.S.A., we cannot say the same thing about Canada. The Lumberjack Country’s trade deficit widened to $3.6 billion in June. Canadian authorities noted that a sharp decrease in exports while imports kept rising caused the imbalance. Between April and June, Canadian exports sank 4.3 percent to $46.5 billion, while imports increased 0.3 percent. Many of the good and services Canada is exporting go to the U.S. The two countries currently have a trade surplus of $2.2 billion. Carrier, the Farmington, CT-based factory Trump ‘saved’ nine months ago, announced a first round of layoffs, with 338 employees expected to lose their jobs. The plant was at the center of a national discussion last November when Trump cut a deal that prevented it from moving hundreds of jobs to Mexico. On Thursday, the 338 workers will be let go under a plan that was announced months ago. The company made the layoffs public Wednesday, and announced that it still plans to give Mexicans some of the jobs since they make in a day what American workers make in an hour. Carrier plans a second round of layoffs for December 22, when 290 more workers will lose their jobs three days before Christmas. A representative for the manufacturing plant said the company remains committed to hiring around 1,100 people in Indianapolis. Nearly 30 employees will undergo retraining programs under the new restructuring plans. All other employees will be given a one-time payment and the possibility to apply for any other positions within the company. Trump decided to help the company during the campaign after a video taken by a worker showed an executive announcing the relocation. Trump supporters who wanted their jobs to stay in the country were shocked. In April 2016, Trump promised that the company would not be leaving Indiana, if he were president. The factory was then often cited during the campaign, and several days after winning the election, Trump announced that he and former Indiana Governor Mike Pence were able to convince Carrier to keep the 1,100 in the Hoosier State. Trump fans were excited about the deal, because they hoped Trump to intervene in the lives of other workers and put American worker interests first. Other companies announced new investments in the U.S. and the jobs they created. Meanwhile, the president took credit for part of the jobs generated. As part of the deal, Carrier got $7 million in tax cuts from the state of Indiana. In return, the firm pledged to pour $16 million in new investment projects and leave the 1,100 jobs in the state. However, the $16 million will boost automation at the plant which will result in even more lost jobs. The U.S. Department of Energy announced that its experts would help U.S. power companies, of which at least one is a nuclear-powered, to help build a defense against hackers. The Feds warned that hackers have run a hacking campaign aimed at these companies recently, but the attacks have not reached the grid or electricity production. Reuters reported the the attacks a week ago after the FBI and the Department of Homeland Security warned industrial firms of hackers trying to breach the nuclear and power infrastructure. a DOE official told reporters Friday. The official also said that the past attacks only affected the business and administrative networks; no critical infrastructure was impacted. The federal government couldn’t tell who the hackers were. They did say that the hacking campaign is “an advanced persistent threat.” This phrase is usually used in official documents to describe operations conducted by culprits. The DOE made the announcement after Bloomberg News reported that one of the power companies affected by the cyber-attack was the Kansas-based Wolf Creek nuclear facility. Bloomberg cited unnamed officials in the report. The management of Wolf Creek power plant refused to confirm the news. They did say that the facility is out of harm’s way since the plant’s computer systems are not connected to the corporate network. The DHS unveiled the hacking tools used in the attack, which revealed that hackers tried to use the password of one of the nuclear facility’s employees to breach the complex. It is unclear if hackers had compromised the employee’s account. Authorities said hackers likely used phishing tactics to harvest credentials from employees. The official report reads that, traditionally, hackers are interested in power systems for cyber espionage or simply to disrupt the infrastructure in the event of an armed conflict. Over the last few weeks, the U.S. government has been asking many cybersecurity firms to unveil their products’ source code if they plan to stay in business. Now, U.S. authorities force Russian anti-virus maker Kaspersky Labs to do the same thing. On Sunday, the firm announced that they are willing to share the code with U.S. authorities to prove that they have no ties to the Russian government or Russian spies. the company’s chief executive Eugene Kaspersky said. Mr. Kaspersky even said that he would gladly testify before the U.S. Congress to prove that his firm is not involved in anything shady. The company made the announcement a couple of days after the Senate unveiled a proposed bill to bar the Defense Department from using the Russian firm’s products on its computers. U.S. lawmakers are concerned that the anti-virus solutions may contain malware or security breaches that can be exploited by the Russian intelligence community. Sources within Congress confirmed that the White House and Capitol Hill agree that Kaspersky Labs is not trustworthy due to its close ties to the Kremlin. The firm’s products cannot be used to shield critical infrastructure, lawmakers decided. Kaspersky’s headquarters are located in Russia but the firm has helped both the FBI and the Russian government in past probes. The cyber security giant said it has no ties to any government, and dismissed allegations that it had helped a government spy on another. Russia’ Communications Minister Nikolay Nikiforov warned that such measures directed at one of its companies might trigger retaliatory actions. Nikiforok thinks that the sanctions have a political origin. The Russian official underlined that his government uses a huge proportion of hardware and software which was made in the U.S.A. even in “sensitive areas”. 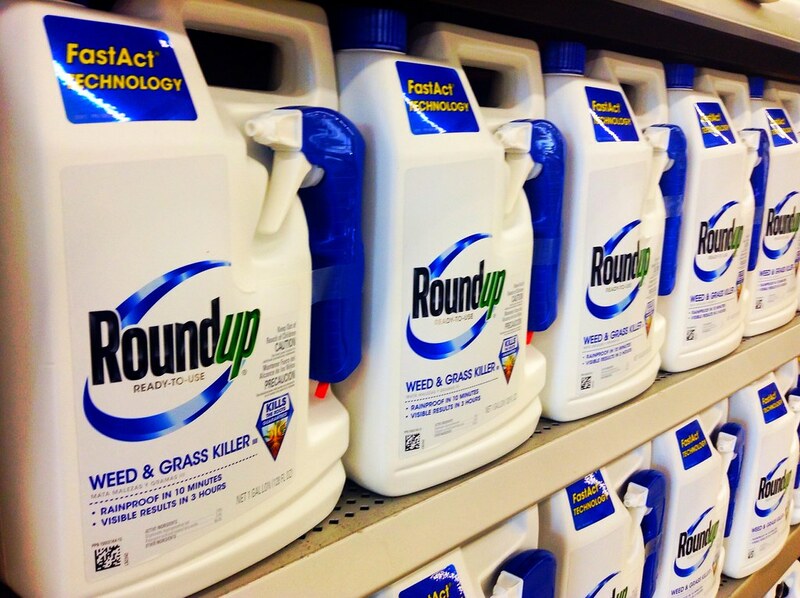 The main chemical in Monsanto’s popular weed killer Roundup will be added to a list of cancer-causing ingredients by California authorities. The pesticide and seed maker Monsanto vowed to fight the decision in court. California regulators want to label glyphosate as a carcinogen because it has been proven to cause cancer. The Office of Environmental Health Hazard Assessment broke the news Monday, but the measure will take effect next month. The seed making giant sued the state for the same reason earlier this year but lost the legal battle. The company said it would appeal the ruling, but in the meantime, any firm that uses the ingredient will have to put a warning label on packaging. California regulators argued that the labeling is legal because the company was not awarded a stay in court. The listing will be done July 7. A spokesperson for Monsanto noted that the ruling is not final, and the company is committed to “aggressively” fight the “improper decision” in court. The firm criticized regulators for listing glyphosate as a carcinogen when there is not enough scientific evidence to back that claim. In 2015, the World Health Organization’s cancer research arm labeled the chemical as “possible carcinogen”. The decision has been contested by Monsanto, but California thinks it is scientifically valid. Reuters investigators have challenged the findings in a recent report, noting that the director of the International Agency for Research on Cancer (IARC), which conducted the research, used data from a large, unpublished study which unveiled that Roundup is not cancer-causing. However, multiple other studies in recent years suggest an association between the weed-killing ingredient and some types of cancer. IARC announced that it wouldn’t alter its findings. Under the Safe Drinking Water and Toxic Enforcement Act, California authorities are required to keep an updated list of chemicals that may be linked to cancer or birth defects. A new study suggests Ethiopia coffee farmers need to relocate their crops or go out of business as in the next few decades, 60 percent of the sub-Saharan country’s farm land could no longer be used for agriculture. The study recommends coffee farm owners to change the location of their farms as they risk losing their crops in the near future. Researchers also found that relocating crops could benefit coffee production more as other regions could give higher yields. Ethiopian coffee production has been on the decrease in recent years, and farmers are looking for farm land in other areas. The country’s $800-million-per-year coffee industry has 15 million employees. Loss of production is already affecting communities and the economy in general. In some parts across Ethiopia, less rainfall and harsher dry seasons are increasingly hard to withstand. The latest research also found that Harar, one of the African nation’s largest coffee production centers, will be gone over the next century. Study authors, however, are confident the production could be saved if it is relocated to higher grounds where there are ample parcels of land. These higher altitudes are projected to remain suitable for coffee production decades more than the lower lands. Nevertheless, researchers warn that the transition should start as soon as possible. Lead author of the research Justin Moat confirmed all is not lost as Ethiopia is abundant in lands that provide coffee the right conditions to grow. Moat underlined that his team has been conducting similar studies for years, and most results were negative. For the latest study, the research team built computer models of coffee-growing regions across the country, and the results confirmed past models: from 40 to 60 percent of the land in use for coffee production could become unusable by the end of the century. Ethiopia is the producer of Coffea arabica which unlike Coffea Robusta generates the good tasting coffee we are all accustomed with. The study was published this week in Nature Plants. The report also showed which cities have the most traffic jams. If you are living in a big city you have probably experienced at least one traffic jam. A new report focused on the money US drivers lose while they are stuck in a traffic jam. Although many people might not realize that traffic jams cost money, this report might show otherwise. INRIX Inc conducted a report that shows just how much money spent the US drivers when they are stuck in traffic jams. The report also showed which cities have the most traffic jams. The city that it considered to be the most clogged one is Los Angeles. The report showed that this city has the worst traffic jams. These traffic delays affect people and cost them money. The report conducted by INRIX showed that more than $1000 is spent, every year, by US drivers. The money is wasted on fuel and time. Despite the fact that Thailand was the most congested city last year, this new report shows that the US has the worst traffic among developed countries. 5 of the top 10 most congested cities in the world are in the US. Despite the fact that this is not a new problem, this report shows that the issue of traffic delays is getting bigger and bigger in the US. Some cities have taken measures to stop the traffic delays by not allowing private vehicle access in central areas of the city. In some parts of these cities, only public transportation is allowed and sometimes cabs. In the US, people spend a lot of money and energy stuck in traffic. When it comes to rush hours, Los Angeles is the cities where people spend most of their time stuck in traffic. There are other parts of the world where people experience this type of problem. For instance, in Moscow people spend more than 25% of their total driving time on congested roads. In Bogota, the numbers are even bigger. Drivers there spend more than 31.8% of their time driving in traffic jams. Some of the cities that have been declared as congested include San Francisco, Miami, New York, and Atlanta. What is your opinion about this report? Did you know that Los Angeles has the most traffic jams? FedEx, the courier giant, reported a lower than expected earnings call for the second quarter. FedEx, the courier giant, reported a lower than expected earnings call as the company is believed to have been weighted down by its investments. FedEx came with a surprise this past week. It was mostly for market analysts, as the company did not exactly meet market expectations. The FedEx Corporation is a United States-based multinational. It was funded in 1971 and is headquartered in Memphis, Tennessee. The company is specialized in courier delivery services. It is very well known for its overnight shipping services. They were also the first to introduce package tracking. Initially, this was designed to help with lost packages. Now, it has become a standard feature. The courier’s services and renown span at a global level. However, its expansion might have potentially weighed it down. FedEx released a lower than expected earnings report. Their second quarter adjusted earnings were reported this Tuesday. On December 20, the company both confirmed and infirmed market expectations. The reported revenue numbers reached $14.93 billion. They marked an almost 20 percent rise compared to the same period in 2015. Market estimates would have placed the revenue at $14.91 billion. However, the adjusted earnings per share were well below estimates. They came to a $2.80 value share. Analysts had predicted a $2.91 sum per share. FedEx reported increased revenues for most of its package options. As such, the United States domestic package revenue rose by 3 percent. United States freight per pound revenue increased well over 6 percent. International export revenues also increased by 1 percent. And the Express revenue rose by 2 percent. This was based on the higher volume and increased rates. The FedEx Ground daily revenue marked a 5 percent daily increase in the second quarter. This was helped along by a number of factors. They include the commercial package growth and also e-commerce increases. FedEx Freight revenues also rose by 3 percent. The courier giant expressed an optimistic full-year outlook. However, their adjusted earnings call did not meet market expectations. Their 2017 full-year EPS guidance was placed at $11.85 – $12.35. Market estimates had a $12.06 value. FedEx reported a net income of $700 million or a $2.59 value per share. Their second quarter ended on November 30. The company reported a higher income as compared to the same quarter, last year. In 2015, FedEx reported a $691 million Q2 net income. Their then share value was of $2.44. However, FedEx’s operating expenses also rose. The company has an operating sum of up to $13.8 billion. This is 22 percent higher when compared to 2015. Following the Tuesday report, company shares value were seen to fall. After-market trading reported an almost $193.20 value per share. They fell by about $5.54 as compared to early Tuesday. One of the reasons for FedEx’s rise in expenses is its heavy investments. The company is opening new or investing in existing distribution hubs. It has also been hiring more employees. These were all moves taken in order to meet market demands. FedEx is currently trying to meet market demands for the holiday season. This is expected to be yet another record-breaking shipping season. The fact that Christmas Day will fall on a Sunday is also believed to influence demands. In November, the company stated that it was expecting higher numbers when compared to 2015. A 10 percent increase is expected. However, specific numbers are yet to be released.